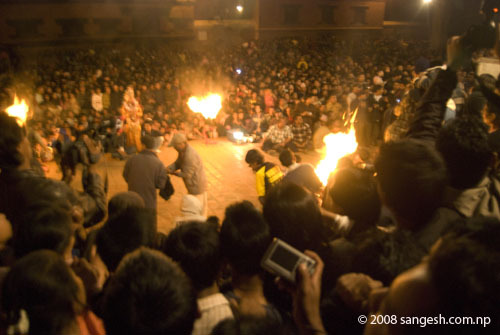 This is a unique type of festival that is observed at Patan Durbar Square, Lalitpur. 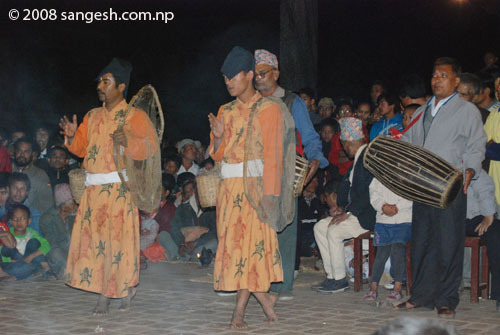 It is a Newari cultural program where we can see Newari Musical Drama and Dances. The dances are very ancient. 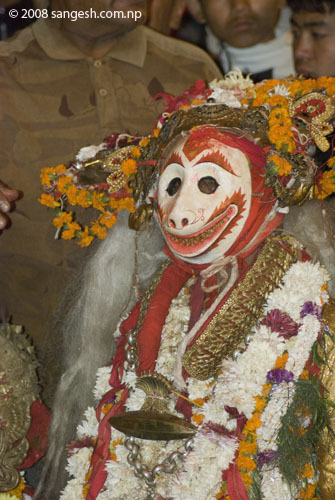 This festival was started by the Malla King of Patan, Siddi Narsingh Malla. I don’t have much more information on this festival. 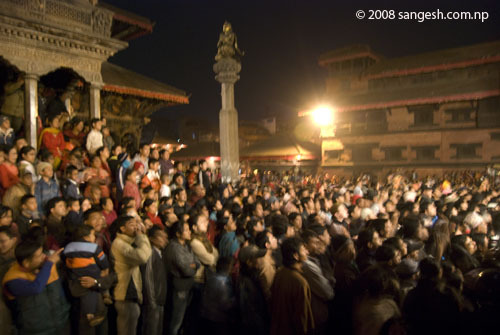 The last day of Festival is very exciting and important. 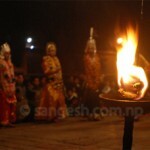 On the last day we can see a Musical Drama of Hindu Legendary story of Pralad and Narsingh Avatar. Narsingh and Danav dance and try to kill the opponent, and it is really amazing that when the Narsingh touch the Danav, he gets fainted. 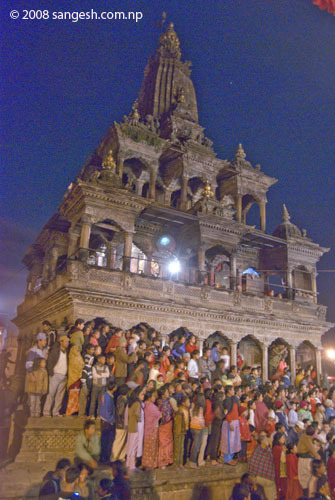 As heard from the locals, that the Narsingh is spelled with tantric system with power to make the Danav faint in real, later the person who became Danav is treated with tantric ways and wakes up. 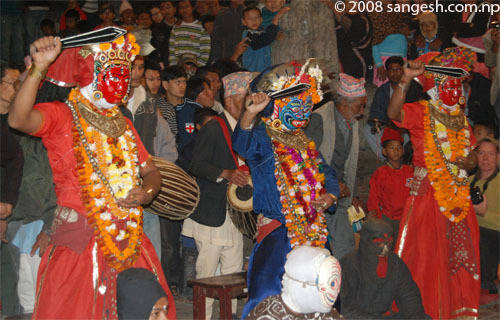 If you guys have no idea about this festival then go and experience it next year 1 week after Tihar. Norway attack, was it a terrorist act or a crazy gunman’s act? 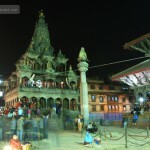 Very unique pictures captured by Sangesh. 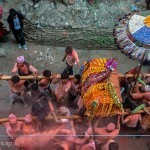 Though we live in the same city we dont tend to give time to such ancient festivals sometimes and I am really appreciate your interest in such a matter. Your hobby is exciting buddy. 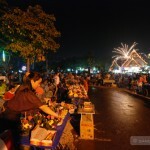 Wow this story and this festival really great, love to see live this. 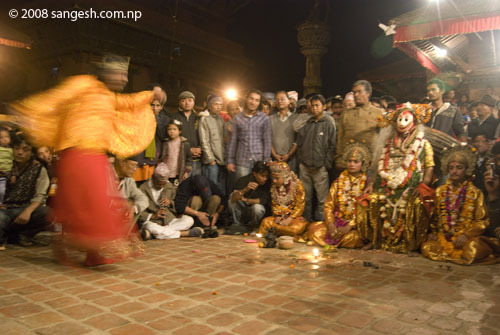 nice pictures … although my old house is in patan, i moved to lagankhel, i never had a chance to see this festival. 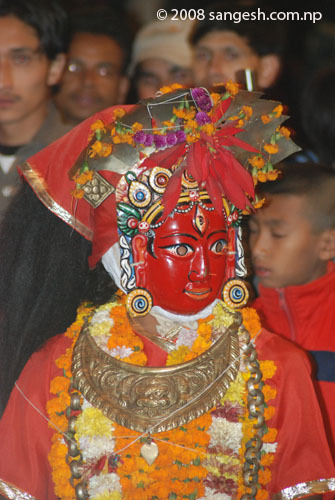 Great accounts of so many Newar and Nepali festivals. 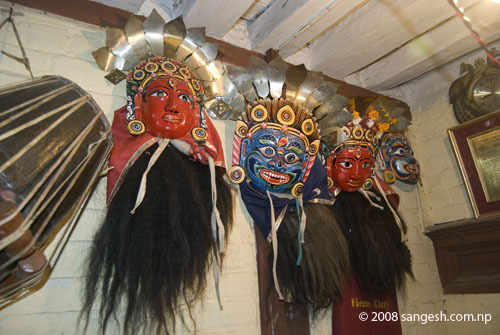 I especially love the shot of the masks backstage. 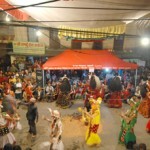 My friend Raju dances in the Kartik Naach as VayuNath. 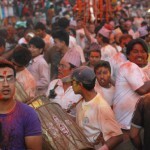 Raju told me that in the original times, the festival was one month long, but at some point (I am not sure why) the tradition was broken. Then when it was recreated it was only for 7 days. 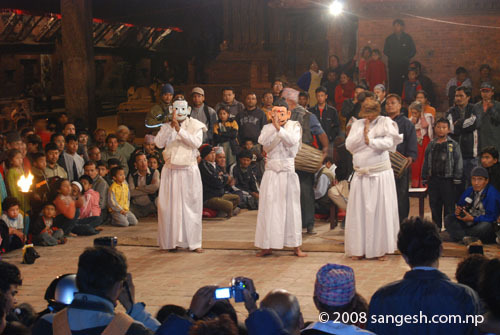 Originally there were more stories and dances performed as an entire cycle. Great to see young Nepalis taking interest in this. I think u have changed the camera…Look at the picture quality…it’s TOOOOO good …. Very nice pictures. Do you have picture of Danav? When will Kartik dance happen this year? The pictures are very nice but the information about the kartik nach is more less. Please do study kartik nach and give information more from this website about our cultural pillar, Kartik Nach, such as Who Started Kartik nach, when, why and how etc. Thank You.